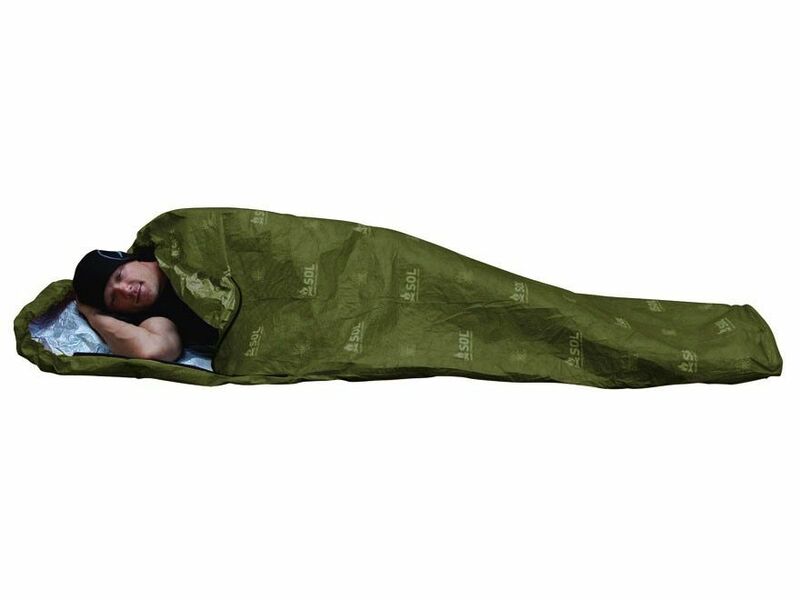 TECHNICAL Weight: 240g Reflects 70% radiated body heat Hard-wearing fabric DESCRIPTION The Survive Outdoors Longer® Escape™ Bivvy is nothing less than a revolution in backcountry shelters. 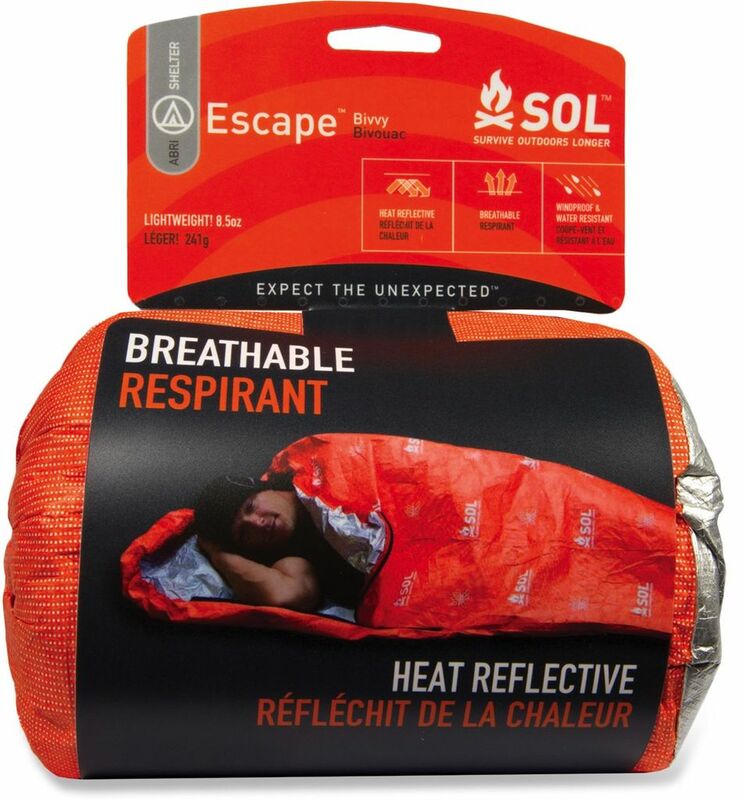 The complaint with most ultra-light emergency shelters is the same: condensation builds up inside as you get warm, leaving your clothes soaking wet. With the Escape™ Bivvy, condensation is no longer an issue, and you never again have to choose between staying dry and staying warm. The proprietary fabric lets moisture escape at the same time that it keeps rain, snow, and wind on the outside – all while reflecting your body heat back to you. Waterproof seams plus a drawstring hood closure and side zip mean you can seal out the elements entirely or use the bivvy like a traditional sleeping bag, and the high-visibility orange exterior makes it easy for rescuers to spot you even in areas with high tree cover.